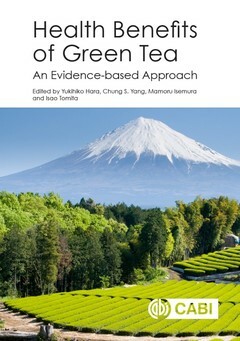 This book provides evidence to support the health-promoting components of green tea for human health. It explores the significance of green tea and its catechins represented by epigallocatechin gallate (EGCG), demonstrating their beneficial effects on diseases including cancer, obesity, arteriosclerosis, diabetes, hepatitis, and neurodegenerative diseases. The present status of human studies and avenues for future research are discussed. It is written by a team of experts from across the globe and makes significant Japanese findings available to international researchers. It is an essential resource for researchers interested in the biochemistry and pharmacology of green tea, and functional foods and beverages. Suitable for researchers, professionals and students interested in tea and health, from the chemistry, biochemistry, nutrition, agriculture, pharmacology, and medicine perspectives.